–One of my favorite classic writers [though I can’t believe I still haven’t read her Pulitzer Prize winning novel, One of Ours. 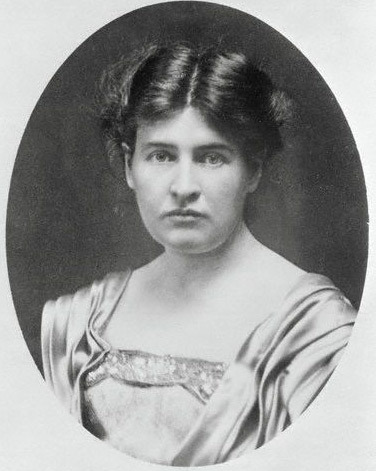 –While known for her sweeping depictions of life on the Midwestern prairie, Cather on spent her early childhood there. –Cather grew up in a well-to-do family in the farm country of northern Virginia. –She went to school in Nebraska and graduated from high school in 1891. She then went to the University of Nebraska. A professor liked her writing so much, one of her stories was sent to a Boston magazine. –Cather worked as a reporter at a Lincoln newspaper and then in Pittsburgh for a magazine and then a newspaper. She never returned to the Midwest. –Attention struggling writers and late bloomers! 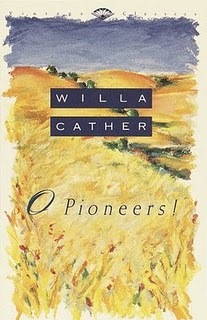 O Pioneers [1913) got published when Cather was 40. She followed that with my all-time favorite Cather novel The Song of the Lark  and then My Antonia . Her WWI book, One of Ours , won the Pulitzer Prize. –Cather was elected to the National Institute of Arts and Letters in 1929. 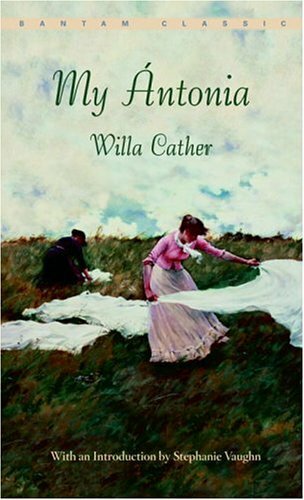 –What I adore about her work, besides the divine physical descriptions of the Midwest, is that Cather writes about strong-willed, independent women. This entry was posted on March 7, 2010, 01:08 and is filed under Books. You can follow any responses to this entry through RSS 2.0. Both comments and pings are currently closed.